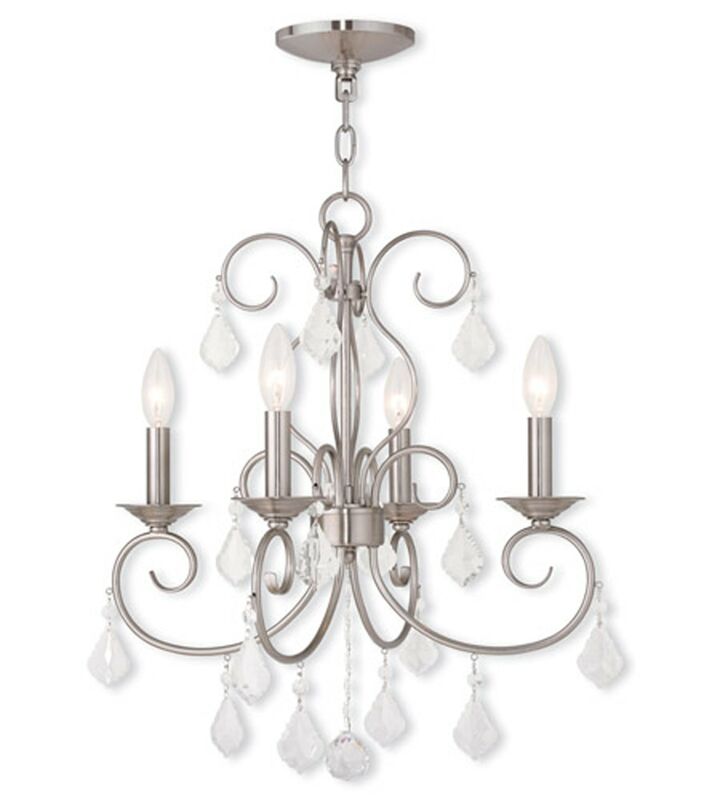 Designed with a traditional flair, the 4-light chandelier from the Donatella Collection features a stunning fusion of a rich brushed nickel finish with an elegant crystals shade. A marvelous incandescent hue further elevates this combination, making the chandelier a perfect fit for any space and a great addition to your home's interior. UL rated for dry locations.